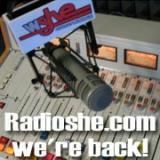 WSHE Miami Ft Lauderdale Radio Is Currently Seeking New Bands With a Rock'N Roll Format. 'Black Jacket' Has Been Chosen This Week In Review. 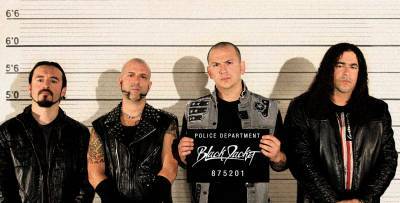 Their Latest Album Resurrection Song Title Innocence ! The Miami quartet's brand of Rock is a rollicking, raw, and rough affair fueled by invigorating riffs and unforgettable hooks. The group— Phil Letizia [Vocals], Zelick [Bass], Frankie Stone [Guitar], and Mauricio Aguilera [Drums]—injects modern attitude into a traditional palette. As a result, you're going to be wearing Black Jacket for a long time to come. "It's modern rock with a retro feel," affirms Zelick. "We all come from different backgrounds ranging from thrash to pop to classic Rock N’ Roll. All of our influences converge to create an original sounding rock band that is uniquely Black Jacket." This Band Is Making A lot Of Noise In The South Fla Scene And Around The Globe ! WSHE She's Only Rock'n Roll Will Be Airing 'The Black Jacket Band' In Rotation. She's Only Rock'N Roll South Florida Radio Since 1972 Is Going Loud-n-Proud. We're Glad You're Still Hanging On For The Ride.. Read Below And Choose Your Favorite On-Air Personality..
*Can You Name Your Favorite SHE Jock From Back In The Day* ? Who Was Your Fav On-Air Jock? They'd Love To Know.. The Station Started as WWIL-FM In 1959. 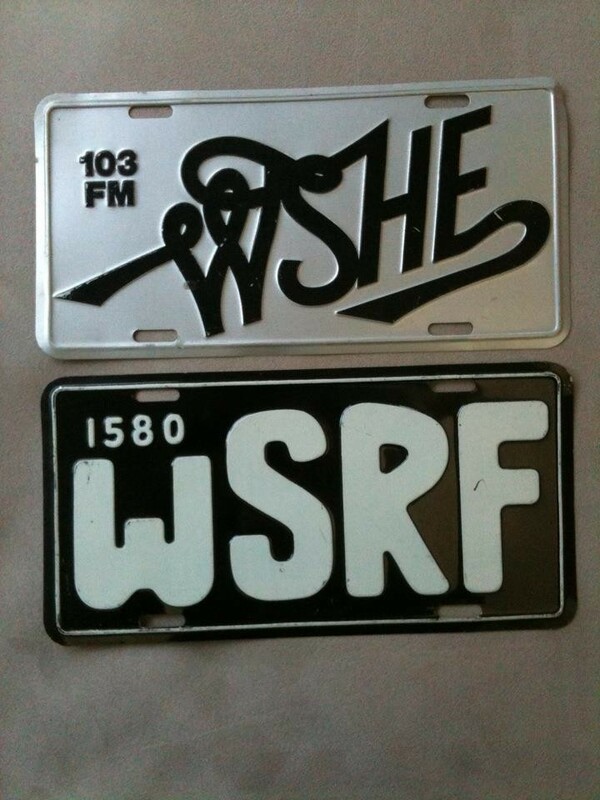 Until 1972, And After a Call Letter Change To WSRF-FM in 1968, The Station Carried a Beautiful Music Format. In 1972, The Station Changed To an Album Oriented Rock (AOR) Format, Branded as WSHE. << By The Way, Did You Have These Plates On Your Car? WSHE 103.5 Was a Small 'Mom & Pop' Owned Station Located In Davie Florida Operated By The Milner Family, Directly Run By Son Tommy Judge Up Until 1980, Following The Selling Of WSHE To TK Communications. Following Our Purchase By Paxson Communications in 1996, The AOR Format Ended In Favor Of a Modern AC Format, and The Call Letters Were Changed To WPLL, Nicknamed "Planet Radio." Another Format Change By The Station's Next Owner, Clear Channel Communications, To "Jammin' Oldies" Format, Resulted in Another Call Letter/Branding Change To WMGE, "Mega 103.5", in 1999. The Year Of '2002, Month Of March, WSHE Opened An FM Carrier On The Frequency Of (105.5)FM, To Be Broadcasting At a Low Power Range At An ERP Level Of About 2,000 Watts. The Owners During That Time Had Made The Decision To Close The FM Carrier Only To Focus On The Future Of Radio (Internet) '2006. As Of '2002, WSHE Was Legally Acquired Owned And Operated By Tanner Bros / Lex Scott. Copyrighted/Trademarked Services Mutimedia,Broadcast, Radio. WSHE Psychedelic Sunday's From 12:00-3:00, We've Brought Back Psychedelic Sunday Just Like We Did Back On FM -103.5. Dust-Off That Water Bong, Kick Back And Groove To Some Head Music That You Grew Up With For Three Solid Hours. If You Remember The 60's.. Well; You Probably Weren't There ! Announcing Nightly Album Sides At 8PM Sharp Every Night ! SHE-SIDE@8 Airs The Entire Album Side Of Your Choice, Unedited, Commercial Free, Complete With Liner. If You Do-Not Hear SHE-SIDE@8, This Simply Means That There Were No Submissions For Said Particular Evening. So Far; We Cannot Recall An Absence. You're Encouraged To Be Creative, Think Of An Entire Album That You'd Like Aired At 8 O'Clock Tomorrow Evening... If We Have It, We'll Air It !